We talked to LionsXII defender Safuwan Baharudin about how he coped with his preparations for the upcoming SEA Games as a newlywed! Our local athletes have begun leaving for Myanmar, for the upcoming SEA Games from Dec 11 to 22. One of them is Safuwan Baharudin, the star defender from our football team. The team left on Tuesday morning, and will be playing their first match against Laos this Sunday. Youth.SG managed to catch Safuwan before his training session at Hougang Stadium last Wednesday. When we asked him about his preparations for the upcoming SEA games, he was stoic and serious. But when we asked about his wife, the shy and reserved 22-year-old broke into a smile. 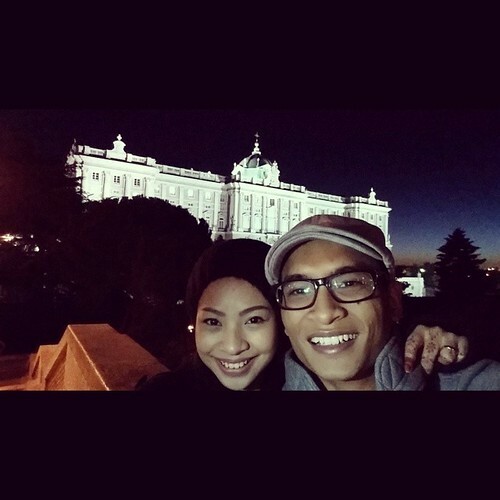 Safuwan married flight stewardess Alia Qistina, also 22, about three weeks ago. "I've known her for quite some time, but we finally met up in public early this year. As time went by, we decided to get married. People might say that it's at a young age but…that's the best decision because I know when I'm back home, there's always someone to cook for me and to take care of me," said Safuwan. Managing his football duties with his new status as a husband was rather challenging for him. "My wife is flying and…when she's away, I'm working. Sometimes, my off days don't even suit her timing. So far, there are no misunderstandings as work comes first (for us). I know that it's hard for her but I think…she's adapting to it quite well," said Safuwan. Even though Safuwan is a young athlete, he shows maturity beyond his years. He often mentioned the younger players as he spoke, adding that he looks out for them during training and calms them down during away matches where fans could turn rowdy. Safuwan said: "(When I first) made it into the national team when I was 17 or 18, I needed an older player to guide me. It's also a culture shock for the younger boys coming in. For the first few training sessions, they will be scared because it's a different ball game. But, they've got our backs, and I'm sure the senior players will definitely guide them." Safuwan shared about his dreams of following in the footsteps of his mentor, former Young Lions captain, Baihakki Khaizan. "I always have talks with him over coffee about how (to make) things go to a better level or how to make me a better player. He's always been there, supporting me," he said. With the good guidance that he received from 28-year-old LionsXII defender Baihakki, he hopes to mentor younger players one day. In the past year, Safuwan received requests from schools to give motivational talks to students. Safuwan said: "I've always wanted to be a role model for someone, or even a bunch of footballers. It's too early to say, but maybe (in) one or two years? Who knows..."
After the SEA games, Safuwan is looking forward to a break from soccer. He took time off from training to go for his honeymoon in Barcelona and Madrid recently, but he still wishes for more rest time. 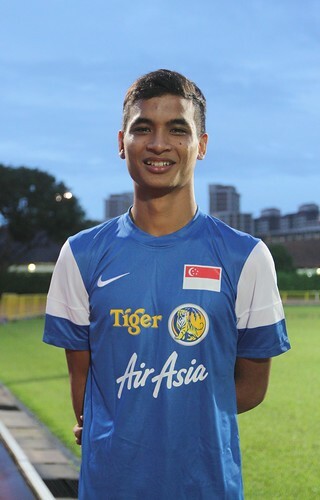 Safuwan said: "It's not enough because for almost four or five years straight, I've been training and going away (for) many competitions…After the SEA games, I think I need a break from soccer." He also wants to spend more time with his wife. "I'll see…my wife's (working) schedule. I think it's important for me to spend time with her," Safuwan added, with a laugh. Catch the screening of the 27th SEA Games Myanmar football match (Singapore vs Laos) this Sunday, Dec 8, on MediaCorp Channel 5 at 11pm.